There's a Wild giraffe that's known to stop vulcanized rubber at any time. Hit the ice with the netminder for the Minnesota Wild! Devan Dubnyk is sporting his home red and green Minnesota Wild sweater. 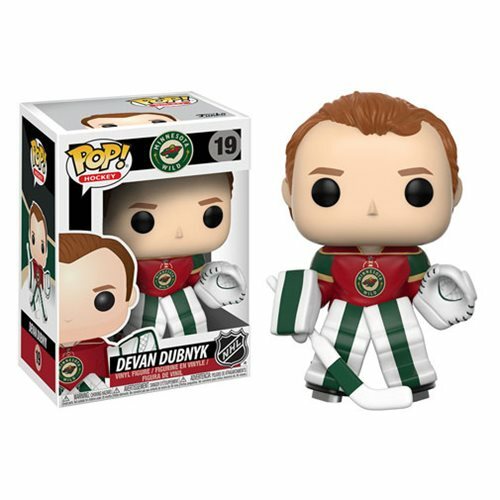 The NHL Devan Dubnyk Pop! Vinyl Figure #19 measures approximately 3 3/4-inches tall and comes packaged in a window display box. Ages 3 and up.